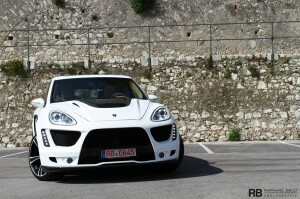 Porsche’s Tuning company GEMBALLA GmbH are proud to announce the debut of the TORNADO, based on the new Porsche Cayenne 958. This exciting car is significant not only because it is the first creation of GEMBALLA GmbH, but also because its light and strong carbon-fibre body panels showcase the way forward for the top players in the aftermarket industry, raising the bar for exclusive car manufacturers. In the past, it was commonplace to bond carbon-fibre parts to modified factory steel panels. However, this does not significantly lighten a car, nor is it a rigorous use of this lightweight material. “Carbon-fibre is a high streight, low weight structural material that needs to be used honestly, and not just for decoration.” explains Porsche’s Tuning company GEMBALA GmbH CEO, Andrea Schwarz. Thus, other than its steel body-in-white, rear qarter and roof panels and hatchback, almost all the steel body panels on the TORNADO are replaced by carbon-fibre equivalents. The carbon-fibre bonnet, front wings, side sill covers, doors, front and rear bumper/valance and rear hatch outer skin save around 70 kg compared to the original steel panels and PU bumper, and all the new panels use the factory mounting points. 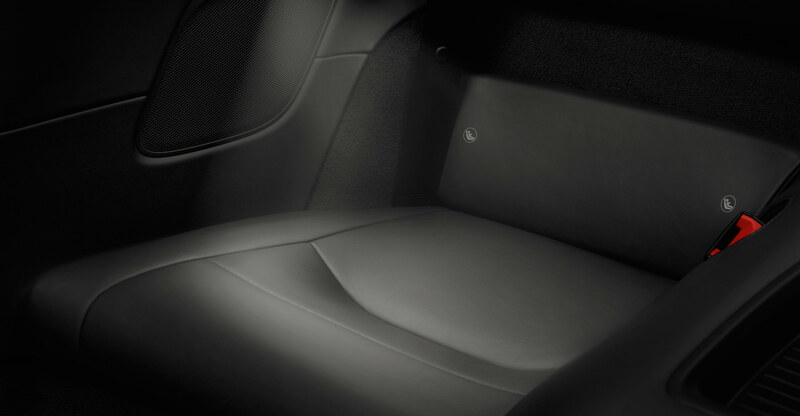 However, security-related feature, such as the passenger safety cell and door side impact protection are untouched, and none of the modifications compromise comfort either. While this is an expensive alternative to the traditional methods, there is good reason to do it this way apart from just weight saving. “Cutting, filing, and then bonding and blending materials with different coefficients of expansion is setting yourself up for problems further down the line unless the work is done perfectly,” says Andreas Schwarz. “In very hot or cold climates, where many of our clients live, extremes of temperature may eventually couse problems like cracking and de-lamination. So while one-piece carbon-fibre panels are expensive, it mean that the fit and finish, whether the new panels are left in visible carbon or painted, will be perfect and consistent. In addition, the relative ease of fitting makes life easier for our dealers around the world.” The new front styling delivers significant autobahn overtaking presence with the large grille, flanked by two smaller ones providing copious amounts of ram air for the two stages of uprated, twin-turbocharged engine. 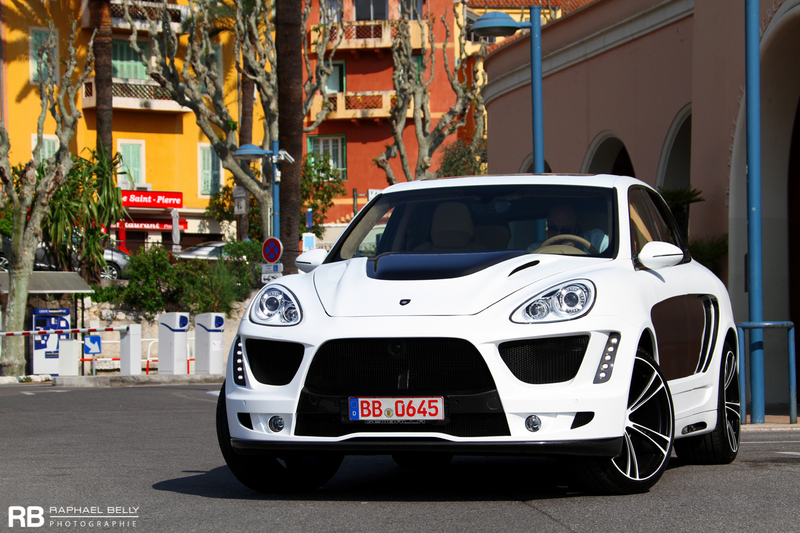 Brake cooling ducts sit beside the fog lights, and the vertical LED daytime runing lights also help to glue the Cayenne GEMBALLA Tornado that all-important instatnt recognition factor. The complite carbon-fibre door assemblies are designed as direct replacments for the steel factory units, and incororate the factory steel side impact protection bars, central locking and electric window mechanisms. The recessed surface, in matt finished visible carbon, give the sides of the TORNADO a heavy sculpted look, inspired by the GEMBALLA AVALANCHE GTR. The some matt black visible carbon finish is used on the new tail panel and rear corners. Because of the structural architecture of the rear quarter panels, the wider rear wheel arches are grafted to the car by the more normal method of cutting the metal, and bonding and blending in the wider carbon-fibre arches. The TORNADO overall width is increased to 2.05 m. The steel structure of the tailgate is mated to a new carbon-fibre skin, which re-contours it and covers the recesses and holes provided for the inner half of the factory tail light assemblies. The new, stacked round rear light design completely changes the look of the Cayenne’s rear, reinforcing the four individual round exhaust outlets, a long-standing GEMBALLA design motif. If the angels are in the details, a close inspection of the Cayenne GEMBALLA badge on the new tailgate reveals lettering cut out with incredible precision. Here, the same ultra high-pressure water jet cutting process used in the electronics industry to slice through heat sensitive circuit boards, is used to cut the GEMBBALLA name out of the piece of carbon fibre. The brushed stainless steel panel below provides the silver colouring. The enlarged wheel arches are filled by huge wheel, 10.0J x 22-inch with 295/35 ZR tyres on the front axle, and 12.0J x 22 inch with 335/30 ZR22 tyres at the rear. Despite their greater size, these forged, ultra light and strong monoblock alloys are no heavier than the standard 20-inch wheel. And thanks to their narrow-spoke design, they appear to be even larger in diameter than they actually are. The uprated braking system is made by Brembo, GEMBALLA’s partner for brake component development. Massive 420 mm vented discs with six-pot callipers are used at the front, with 405 mm vented discs and four-pot callipers at the rear. All four discs are cross-drilled and slotted, and made exclusively for GEMBALLA in these sizes. 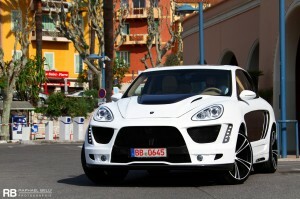 GEMBALLA already offers a Stage One Cayenne Turbo engine conversion with 580 hp. The TORNADO will be equipped with stage two, which is nearing its final development stage. The goal for the engineers was well defined, a 35-40% power increase, which between 675 and 700 hp. The projected torque increase of 30%, or close tp 1000 Nm, requires the relevant drivetrain components to be uprated well. Andreas Schwarz makes dreams come true in his small but remarkably refined automobile factory. With expertise, passion and a will to achieve perfection, Porsches have been refined there into automotive sensations for the past 28 years. 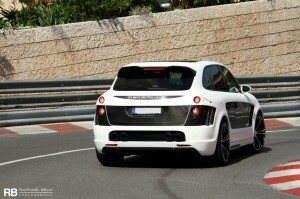 Not only has this brought the company international renown, but also Auto, Motor und Sport’s “No. 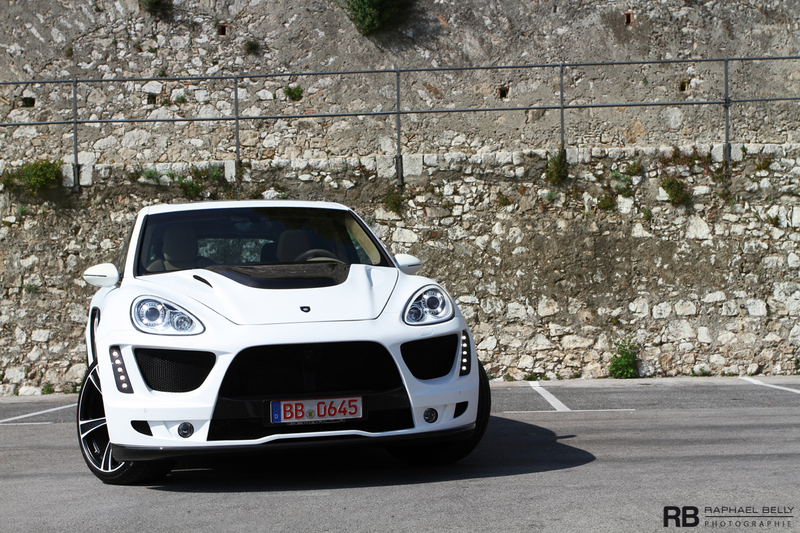 1 Porsche Tuner” crown. To improve a Porsche is to turn a perfect car into an incomparable event. Experience, expertise and a comprehensive understanding of the Porsche philosophy are the prerequisites. Twenty handpicked specialists apply themselves with the utmost dedication to increasing the performance of what is already a highly potent sports car. But they also place enormous emphasis on the smallest details. In a small, almost clinically pure atmosphere, handmade sports cars of the absolute highest calibre are produced in small series. Running gear, engine, aerodynamics and cockpit are formed to create a single entity, which makes driving a Gemballa an utterly groundbreaking automotive experience.